The term ‘trauma’ is used to “refer to an emotional wound caused by a frightening and painful experience” (Webb, 2006). 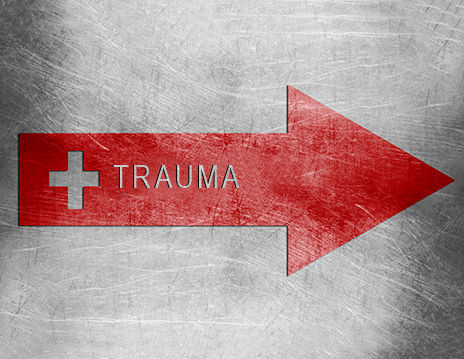 Clinical attention has primarily focused on the source of trauma, symptoms of trauma and treatment to trauma. A Response-Based Approach is focused upon understanding first how individuals respond to, and intuitively resist traumatic experiences. These are experiences that assault a person’s dignity, safety, and security. Secondly, what is the nature of social responses received by that individual following the traumatic experience—how did the people around him or her respond? In considering children and youth in foster care, how did they move between their biological home and a foster home? If they disclosed abuse, how were they responded to and what happened immediately following a disclosure? Who believes them and who doubts them? What is the response from their social worker, their parents, their foster parents, their friends, their school, and their neighbors? What were the risks involved with disclosure—the losses? Ultimately, what determines how children survive trauma, physically, emotionally, or psychologically, is whether the people around them—particularly the adults they should be able to trust and rely upon—stand by them with love, support and encouragement. Fire can warm or consume, water can quench or drown, wind can caress or cut. And so it is with human relationships: we can both create and destroy, nurture and terrorize, traumatize and heal each other (Perry & Szalzvitz, 2006, p. 5). Leading researcher on social responses, Sarah Ullman (2007), is demonstrating that the nature of positive or negative responses received by victims has a stronger correlation with recovery than the source of trauma itself. The entry of a young person into foster care may be a result of a traumatic experience, and may in itself be a traumatic experience. Regardless, by its very nature there is a disrupted connection from their family, neighborhood, school, and all that is familiar. There will very likely be an experience of grief. Reserve Derek Clark, an international foster care speaker and trainer for your next conference keynote or training event. Previous Article7 Ways to Make You Richer and It's Not What You Think! Next ArticleAs a Helpless, Homeless and Hopeless Child, I Had Doubts About Foster Care.